As an endurance athlete for many years, I have used my body and bigger muscle groups in repeated, over-worked ways. This created many imbalances and subsequent injuries. V Fusion Studio allowed me to work on all the small stabilizer muscles to gain back my health. The workouts are different every time I attend, so I find them refreshing and challenging! My favorite class is the RK method, which is mostly done on the suspension straps. This strengthens my core, which I find critical to physical health. Thanks V Fusion Studio! As I have gotten a little older, I have found that my body wasn’t as responsive to my workouts as it used to be and I was having lots of trouble with my knees and feet. I was also unhappy with how I felt and looked even though I was working out on a regular basis. When a friend suggested I try V Fusion Studio. I was assuming it would be another twist on some kind of workout I had already tried. Boy, was I wrong! My body no longer aches in a bad way after my workouts. My muscles are getting stronger, my posture is so much better, and I have lots more energy. Since joining V Fusion Studio my body has completely changed and I just feel so much better! 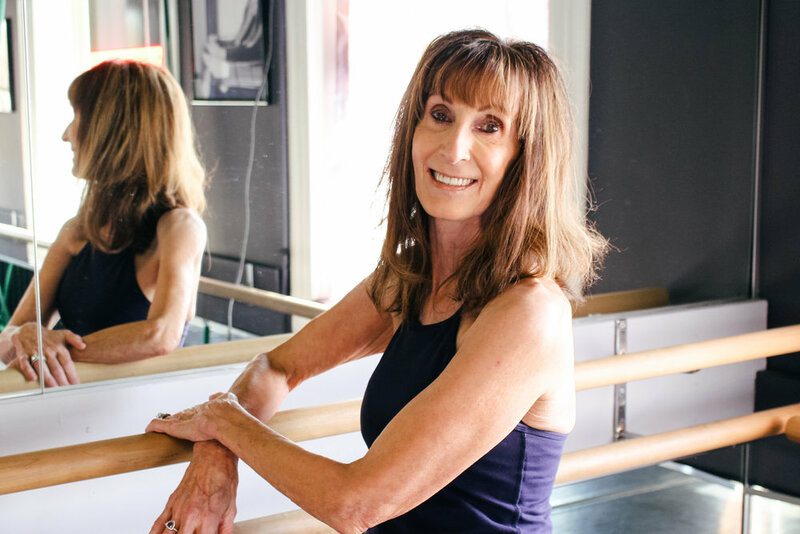 I was looking for a new type of workout and was drawn to the idea of the ballet, barre, and dance-inspired moves for working out. I can honestly say it is one of the most challenging and results-driven workouts that I have ever done. My muscle tone and posture have improved immensely. Although it is difficult, I have never felt that I couldn’t modify the movements If I needed to and still feel comfortable in the class setting. Coming to this studio for the past 7 years has been one of the best decisions of my life! I just wanted to tell you how happy I am to have found V Fusion Studio! I had tried other group fitness classes, but I quickly became bored. After incorporating their Barre classes into my workout schedule for 6 months, my whole body was stronger and I crushed my previous marathon time by 23 minutes! My body felt strong even at the finish line and recovery was SO much quicker and easier than ever before. Each class is always different, so I am never bored. Thank you so much for being such an integral part of my running success! I know Rachel Kowal from my Exercise Gerontology Clinical and Exercise Across the Lifespan courses at NIU. Rachel stood out on day 1, not for anything bad, but because she was slightly older than the normal college student. She came with extensive knowledge about the fitness industry and a background of several years experience working as a personal trainer, group fitness instructor as well as a business owner. She immediately became someone that the students in class perceived as a role model and often looked to for advice and direction. During her time in the NIU clinical classroom while at the local retirement home, she was a personal trainer for several older adults and led group fitness classes. I receive complements from her clients on a weekly basis. They are often stating how great she is and how much they like her. They love the way she composes herself, her calm demeanor and empathetic way of understanding and communicating. Rachel is a natural leader that brings energy, experience, composure and a unique personal touch to everything she does. She is currently getting the highest grade in class and has been recommended to be the Kinesiology major of the year. Rachel has been a true blessing. She makes everyone around her better and leaves an everlasting impression that makes you appreciate her and what she brings to the table. After 6 weeks, in an all-female test group, 7 participants lost an average of 6.39 inches off their bodies coming only 2x a week. After 5 weeks in an all-male test group, 7 participants lost an average of 4.11 inches off their bodies coming only 1 x a week.